In 1982, Goodyear et al. published a 14-volume atlas of the spawning and nursery areas of Great Lakes fishes. This atlas remains the most comprehensive bi-national survey undertaken to date, containing information on all of the commercially and recreationally important species in the Great Lakes fishery. The atlas documents the spawning and nursery locations (associated geographic coordinates) for 139 fish taxa along the entire shoreline of all five Great Lakes and their connecting channels. We entered these fish occurrences (for both spawning and nursery areas) into a GIS database, refered to as the “WIRE Net” database. We have generated density maps for most taxa, mapping their distributions in all five lakes and their connecting channels. When there were sufficient data (i.e. 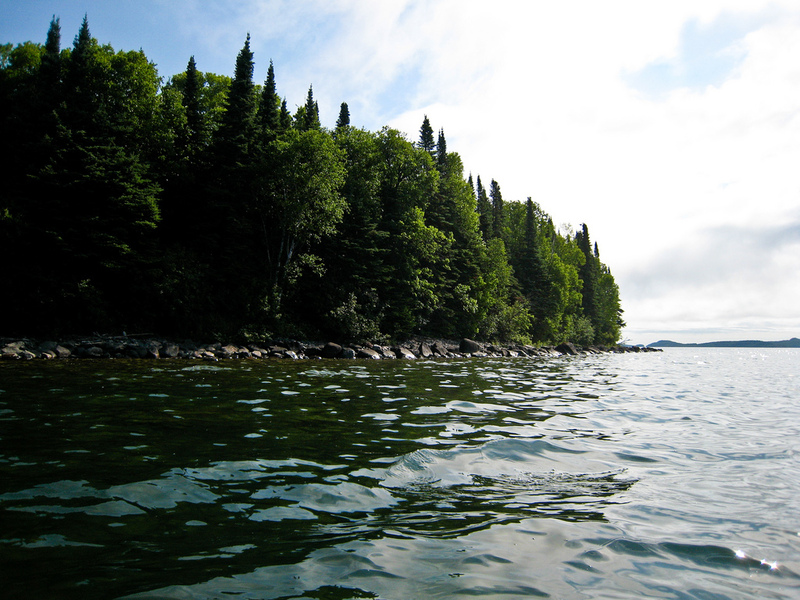 n>20), we have also mapped distributions of the dominant taxa on a lake-by-lake basis. Each entry in the WIRE Net database corresponds to either spawning and/or nursery use by a fish species at a particular site because both spawning and nursery areas are considered important in our studies.